How much snow did Sierra-at-Tahoe get today? Find the latest snow report for Sierra-at-Tahoe, with ski conditions, recent snow totals and snowfall in the weather forecast. Scroll left to see the most recently recorded Sierra-at-Tahoe snow totals for the last five days or scroll right to see the Sierra-at-Tahoe snow forecast for the next three days. 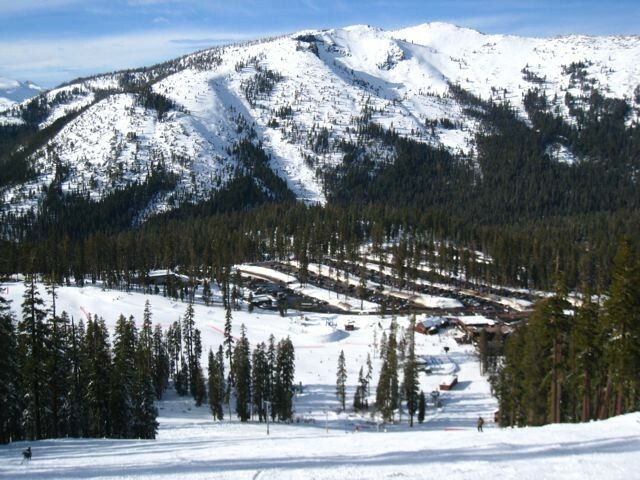 Read the snow reporter comments (if provided) for more details on skiing at Sierra-at-Tahoe for the day. See base depth recorded at the upper mountain, mid mountain and lower mountain stations, along with the current weather at the summit and base elevations, including wind mph and direction. Click through for a full weather forecast. How many lifts are open and how many runs are open at Sierra-at-Tahoe? Check out the Sierra-at-Tahoe ski report, including number of lifts open, acres open and runs open, as well as the terrain park status. 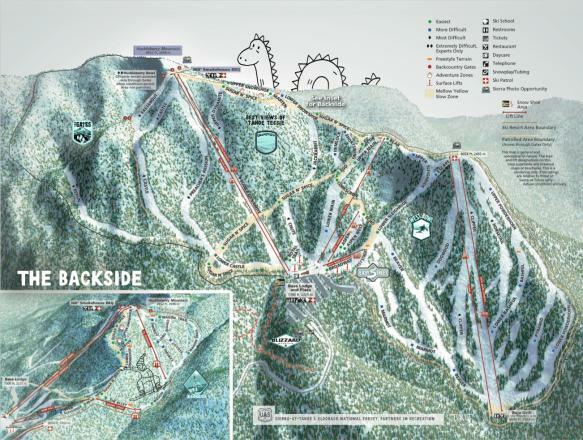 Click Add to Compare to see a side-by-side comparison of Sierra-at-Tahoe vs. other ski resorts (up to 10 total). Sierra-at-Tahoe snow reports are sourced directly from the ski resorts and are only recorded during the official ski season's opening to closing dates. Every year we treat our incredible guests to an extra day of shredding the spring slopes after we close, dubbed Customer Appreciation Day. Taking place on Monday, April 22, this special day is dedicated to reminiscing about the plentiful powder-filled laps had, terrain park challenges with friends + memorable moments shared throughout the incredible season! Sierra-at-Tahoe will operate a limited number of lifts on April 22, from 10AM-2PM, including Grandview Express + Easy Rider Express. All guests can join General Manager, John Rice, and the rest of Sierra’s team for the official “last run of the season” from the top of Grandview Express at 2PM. Last call at the Sierra Pub will be 2:45PM, in time for the ending of ALL winter operations at 3PM. Non-season passholders of all ages can purchase a lift ticket for only $40, and all passholders are invited to join in on the fun too as we say sayonara to the season. All lift ticket proceeds from Customer Appreciation Day will benefit local youth recreation + education in South Lake Tahoe, including baseball, soccer, swimming and more. Sierra is thankful for the continued support we receive every season from our community and hope you will join us in celebratory spirit; come one, come all. Cheers to 2018-19! Great snow yesterday! First time there, really enjoyed the nob hill lift and the west bowl areas. Get Snow Reports, Powder Alerts & Powder Forecasts from Sierra-at-Tahoe straight to your inbox!